The eyes of the world will be on the red carpet tonight for the 89th annual Academy Awards. What many viewers might not realize, however, is that the world's most glamorous secret — the names of the awardees — are known only to a small cadre of one of the world's least glamorous professions: accountants. PwC, one of the so-called "Big Four" accounting firms, has overseen the awards' balloting process for the last 83 years. This year — in a departure from the typical "what are you wearing?" awards coverage — the firm plans to use its influence to highlight the causes that matter to celebrities ranging from Hamilton's Brandon Victor Dixon to Julia Ormond ("Legends of the Fall," "Mad Men," "Witches of East End"). "This year, we wanted to put purpose center stage," said Shannon Schuyler, chief purpose officer for PwC. "Hollywood is not just about glamour. The movies also can take issues that maybe have never touched us and make them real to us. We want to make sure these stories continue to be heard, certainly through the movies, but also by lifting up the voices of impassioned advocates like Julia." Schuyler will be broadcasting live from the red carpet tonight. (Tune in here.) To get an idea of what to expect, we sat down with Ormond to talk about the purpose that motivates her: fighting forced labor and human trafficking. TriplePundit: Why did you get involved with this event, and how does a sense of purpose inform your work? Julia Ormond: What I love about this event is that it enables actors to shine a light on the things that you feel really need attention. For me that purpose has very much been about driving a message around the state of human trafficking and our need to ensure that people all over the world have access to human rights in order that we can claim a legitimate freedom. 3p: When and how did you first become aware of this issue? 3p: Could you tell us about that experience? That possibility filled me with horror, but traveling around other parts of the world, I began to realize that slavery was also in coffee; it's in carpets; it's in sugar; it's in chocolate; it's in our cars, our computers, our cell phones. The list is endless. It's pretty much in every part of the world in every product. 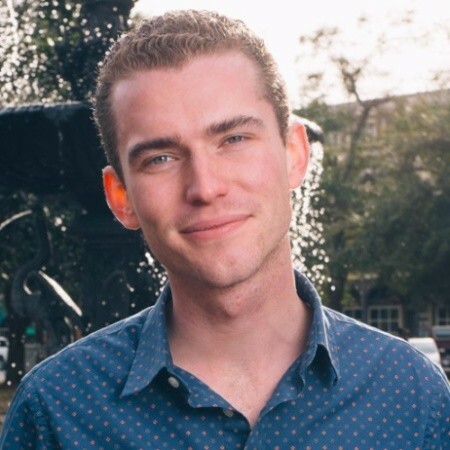 When I would come home, I would realize my connection to it, and I would realize the state of denial that was enabling companies (to continue with the status quo) because there was no legal requirement for them to talk about the issue. 3p: And that led you to found the Alliance to Stop Slavery and Trafficking? Julia Ormond: Yes. We decided what was needed was a complete change of our system and that the first step would be breaking that denial and creating a level playing field so the companies that did want to do good work would be able to start talking about the problem and sharing the best practices they were working on so that, as a consumer, you could start having information about which companies to support. 3p: Your nonprofit, Asset, was instrumental in passing legislation in California (in 2010) and the United Kingdom (in 2015) requiring that companies disclose their efforts to weed out forced labor in their supply chains. In the years since, you’ve advocated for similar, national legislation in the U.S. How do you foresee the changing political climate in America affecting these efforts? 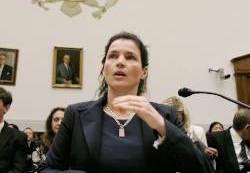 Julia Ormond: I think the federal efforts will shift. What we're seeing across different transparency laws is an effort to repeal what is seen as excessive regulation, in particular with Dodd Frank and the conflict minerals legislation, which is another transparency law that intersects with slavery and forced labor in conflict mines. That said, there's been a definite shift, globally, in the number of countries that are engaging on the issue. Now, we're focused on building on our accomplishments and using transparency as a tool to come up with simpler and simpler engagement points for the consumer, so that, at the end of the day, they can know very simply who to support and who not to support. We're also looking to continue and upgrade our policy efforts. We now have the chance to come back and say what we’ve learned in the last five years. We're no longer discussing hypotheticals. We know concretely what works and what doesn't, and we learnt a lot from the first time around. So we're looking at building the policy out, not just in different states in the U.S. but in other countries, as well. The big thing for us is to make sure that there's an alignment as we scale, so that we don't end up with contradictory legislation. 3p: How does your work as an actress inform your advocacy work, and vice-versa? Julia Ormond: I'm always drawn to projects that have some sort of human rights focus, but I'd like to believe as an actor that I can also escape into something that's completely disconnected from my other work. I also can do things as an actress that have nothing to do with my advocacy and use the attention they garner to drive the social impact, so I think it's important to me to maintain this work, also. 3p: You must have a lot of empathy to be a successful actor, to be able to get inside a character's head and embody their story. Does this capacity help you to be a better advocate, by equipping you to be a better listener and more empathetic storyteller? Julia Ormond: I do think empathy is a muscle that you build. Definitely, as an actor, your job is to put yourself in someone else's shoes and to walk their walk and talk their talk, so you have a natural affinity for that, and people sense that and open up to you with their story very quickly. 3p: What can private companies do to help combat trafficking? Julia Ormond: We are trying to shift the conversation from the negative language of “slavery” to a conversation about freedom, and I think the greatest articulation of this is “social impact.” Social impact to me is our equivalent of “organic” versus “pesticide-free.” I think that, as a movement, we're presenting business with a huge stumbling block when we talk about slavery instead of social impact. On the other hand, we need businesses to commit to investigating their own supply chains, implementing best practices and sharing successes. But we need people to sign up for 100 percent social impact, meaning zero slavery. If that can happen, I think we can all have a different conversation, built on common ground and a better understanding of each other's needs. But we need to know businesses are putting solid resources behind this effort, instead of getting their to wet and stopping there. 3p: Do you see this shift happening? Julia Ormond: The change is definitely coming. We are getting ready to release a big report in March that tracks how businesses are complying with the California law. Companies that are doing great include Burberry, American Eagle, Gap, Patagonia, HP and Apple. There are clearly leaders in the space. We want more of that, but we also want them to share their lessons that they've learned, so that others can come on board. I also think companies need to understand that this is everywhere, so I’d encourage them not to be so fearful of having this as a problem and to just get engaged in the solution. T.S. Strickland is the founder of Neon Tangerine — a branding, strategy and experience shop focused on food, tech and social good. His writing has appeared in Impact Alpha, Entrepreneur, the Food Rush and elsewhere.